French sound and visual artist Pascal Broccolichi creates installations that envision sound as a vocabulary of forms, but whose focus is on listening. In his piece Raccorama (top four photos) Broccolichi takes mica dust and places it in identical heaps, following a specific pattern which is then emphasized by iodide spotlights. 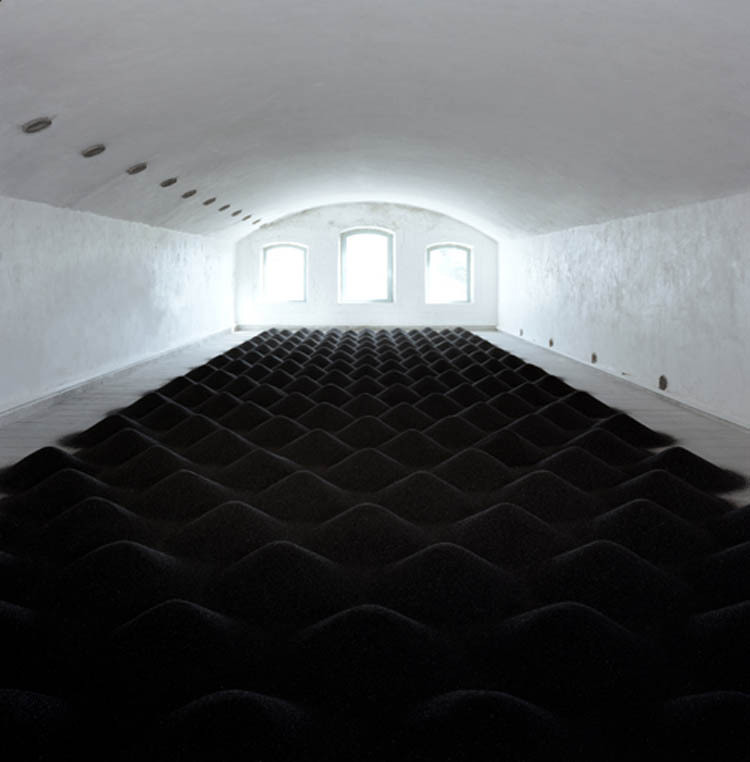 Loudspeakers play a sound piece simulating the patterns of sound flux in motion. 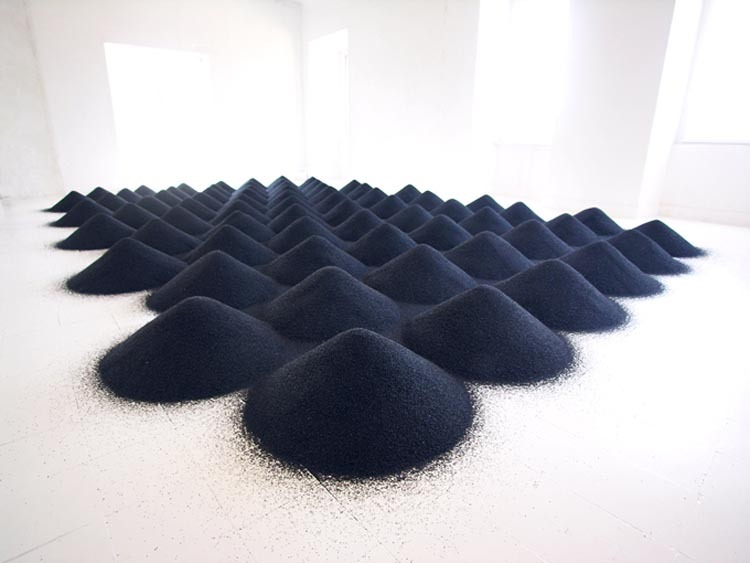 In a more recent work, and variation on the Raccorama theme, Broccolichi creates similar mica dust heaps, this time placing a loudspeaker in the center of each creating a crater. This installation titled Table d’harmonie (bottom photo), also plays a sound piece simulating sound flux in motion.